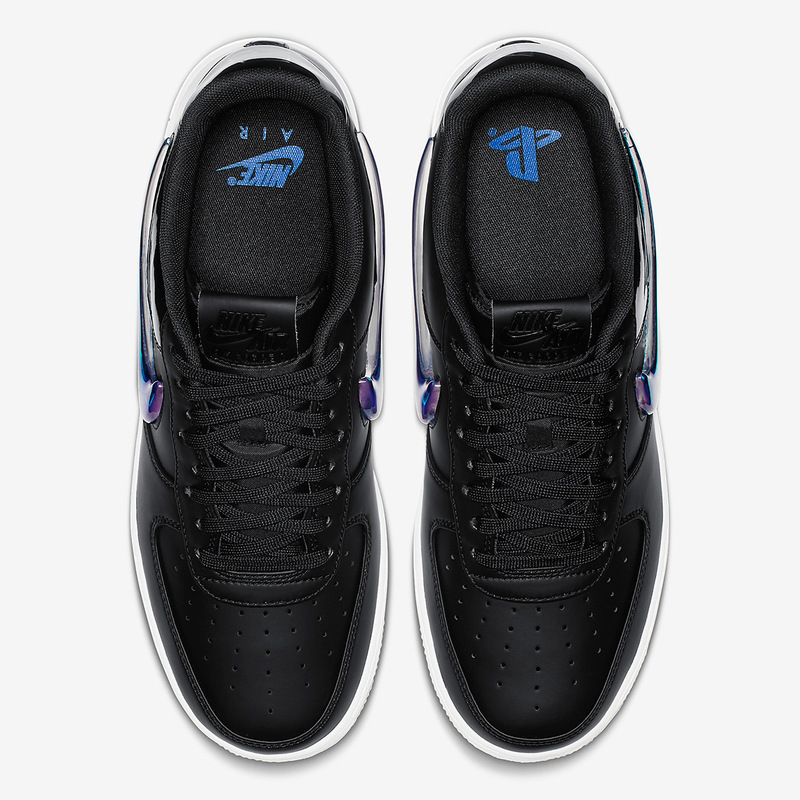 After being teased by Nike for months and unveiled this past weekend at LA’s famous Drew League, we now have official images of the brand-new PlayStation Air Force 1, just in time for the annual E3 gaming conference. 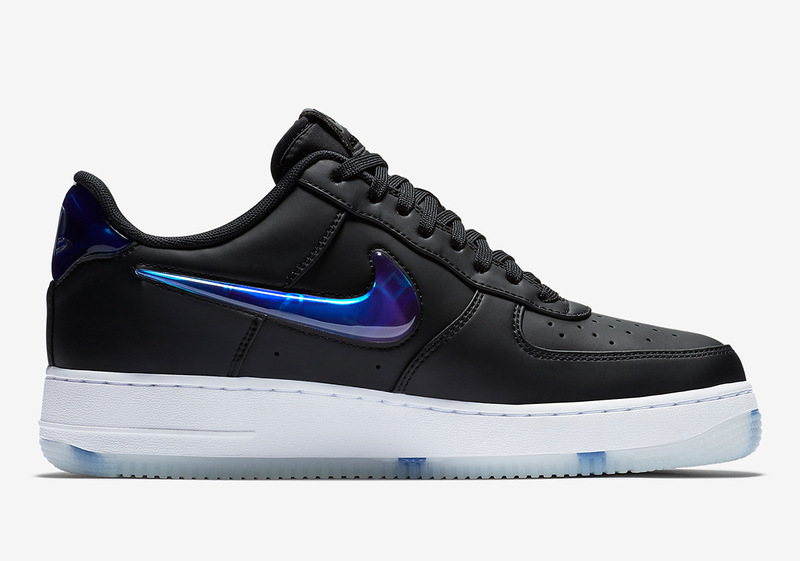 The shoe’s upper is composed of smooth black leather on the toexbox /midfoot and glossy black patent leather on the lateral side of the heel, while the large jelly swoosh—an updated take on the classic jewel swoosh—boasts “sacred symbols” that nod to the PlayStation’s buttons and startup menu colors. 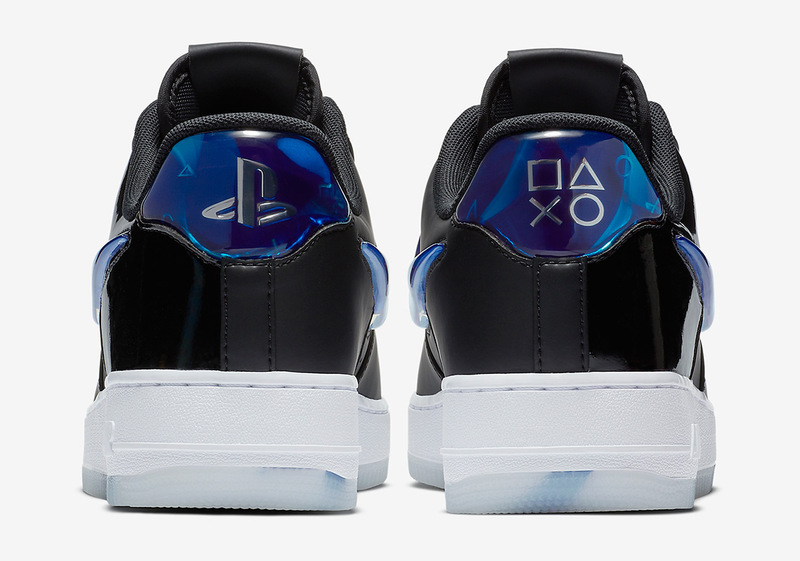 More PlayStation detailing arrives on the heel, as the same blue jelly gradient serves as the background for two PlayStation logos: an interlocking PS graphic on the left, and Sony’s iconic 4 buttons detail on the right. 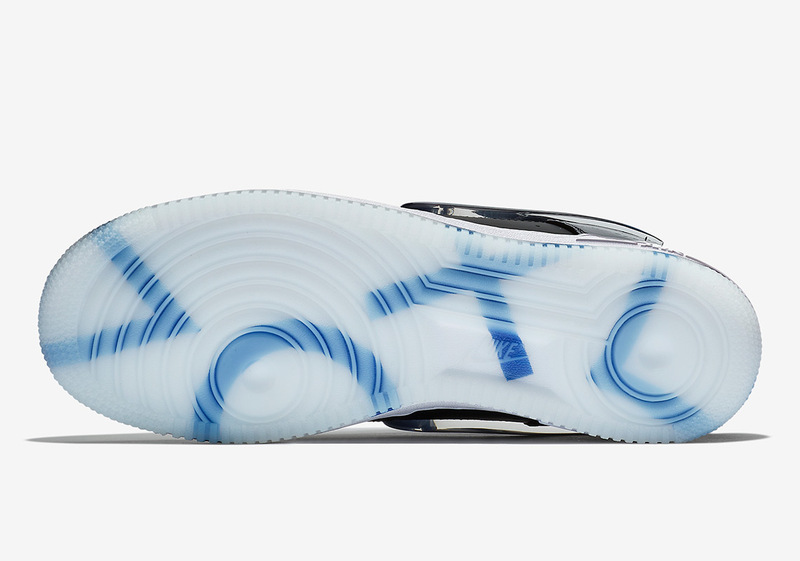 Co-branded insoles add a little extra gamer flair, and the shoe is rounded off with a classic white Air Force 1 midsole and translucent outsole with further controller button detailing. No official release date has been announced yet, but if you’re lucky enough to be in Los Angeles for E3, you can use SNKRS Stash to acquire a pair if you have an Android and are in the area of the LA Convention Center. 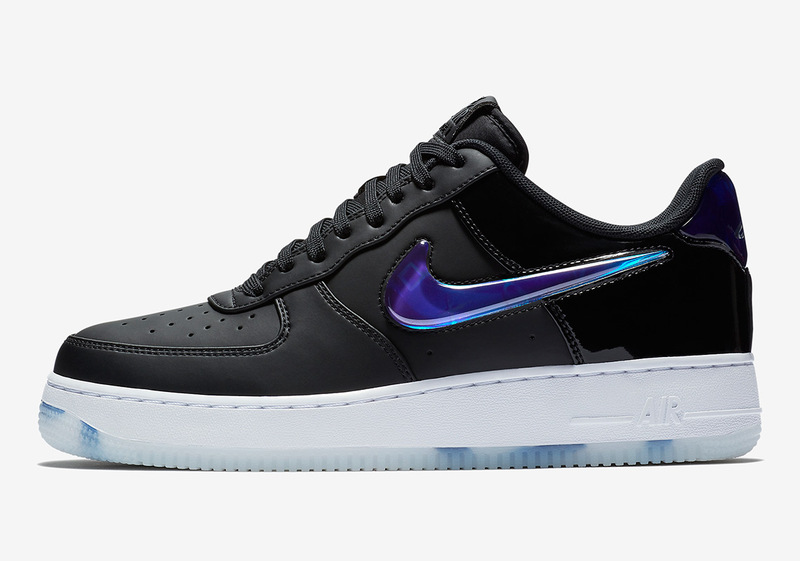 Enjoy a full set of official images below and let us know what you think of this new iteration of a classic Air Force 1 collaboration. 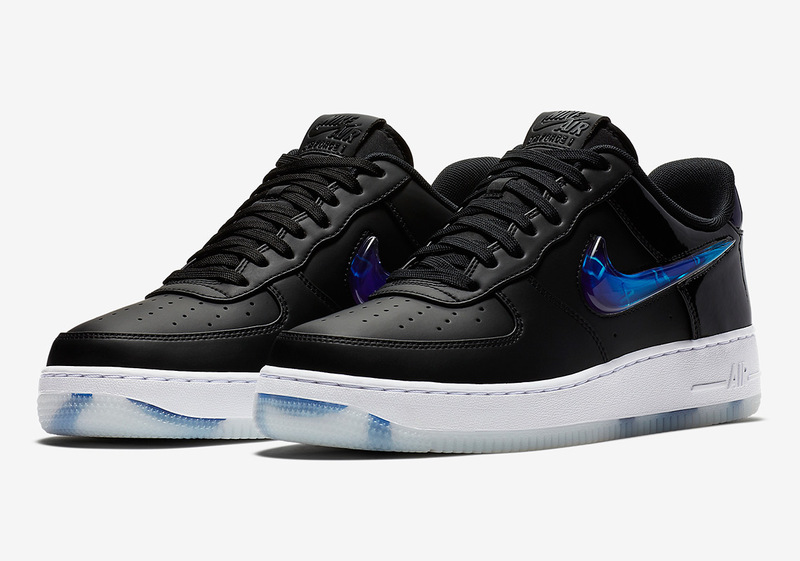 UPDATE: The Playstation Air Force 1 is available via Nike Early Access. Head to Nike.com to see if you’ve been given the opportunity to buy a pair.